A magic moment in the highlands of Scotland. So a month and a half ago, my fiancee Dave and I embarked on a voyage. Not exactly a holiday, not exactly a work trip–somewhere in the middle. It is a creative expedition. It was based on an idea that we never really go anywhere or have time for anything except when work is involved. Our best trips away together have mostly been short journeys within New Zealand to go and record sounds. So we figured if we were ever going to go on any big overseas trips, then we should involve our work in the creative industries. Last year, we had two friends who had both offered us to come and stay at their artist residencies. The first was from Peter Roberts, a picture editor who had a residency in Ibiza off the coast of Spain for writers. It was a house once used by famous New Zealand author, Janet Frame. This sounded like a perfect chance for me to focus on the second instalment of my children’s sci-fi adventure and Dave could work on his feature film scripts. The second residency was in Trélex in Switzerland. Our friend Nina Rodin runs an artist residency for all manner of creative artists and she has not had many sound artists stay at Trélex. Her husband David Rodin went to school with my Dave, so he had been talking for years about the idea of heading over to visit them, but the idea of doing art at the same time was doubly fantastic. Not only would we do plenty of sound art, Dave and I both love painting, photography, video-art and composition, so there was plenty of things for us to experiment with that we normally never have time for. It would have been so easy to think; “Oh yes, that would be lovely to travel overseas and work on our art,” but never actually get around to it. For once Dave and I wanted to jump on such an opportunity and go for it. Last year was a big year for Dave as he directed his first short film. And my book is in the final stages of preparing for publishing, but I wanted time to dive into the second book before the first one comes out. With a heavy work load planned for the back half of 2017, we decided that from the end of March to June would be the best chance we had to head to Europe for a couple of months. When we get back Dave has his short film screening in some festivals as well as a very exciting writer’s workshop to attend, so now is the perfect time to get things moving on the writing front. Though we were only planning on spending two weeks at each of the residency locations, our process of creating art was one that we would engaged with every day of the trip. We record sound every single day, no matter where we are. I’ve been keeping a couple of creative journals with sketching and writing ideas. And of course Dave has his trusty camera and I have the GoPro. We started out in the UK, spending a few days In London with some friends before driving up north to Scotland. We stopped in to see relatives I had in England, but for the most part we were travelling heavily every day and visiting as many attractions as we could all the way. All the while, we were gathering sounds, video footage and artistic photographs to inspire our art. Some highlights were Stonehenge and Avebury, the Roman baths and Lindisfarne and of course, the castles. Edinburgh and Stirling castles where stunning, but some of my favourites were the derelict ruins standing alone in the mists without tourists and gift shops. Places where you could sit and sketch and soak in the ancient landscape. The longest we spent in one place was four days in Skye. Skye was breathtaking. Such wildness and isolation, I felt very much at home there. I guess in many ways it’s similar to New Zealand. Harsh weather and rugged landscape permeates the cultures of the Antipodes and the Hebrides with a similar fortitude. The first two weeks in the UK was so jam-packed full of excitement and adventure it felt like a lot longer than two weeks. I planned on doing more blogging on the journey and I also had hoped to start up a video blog, but we’ve been busier than I expected and quite often without very good Internet access. So I thought I should make a start somewhere. Better late than never. Today I have more time on my hands because yesterday, I badly sprained my ankle. There is nothing quite in injury to allow time for retrospective and slowing down to appreciate what you have. For example, I am incredibly glad that I only sprained my ankle and and didn’t break it. Today is 18th of May and we have exactly one month left of our trip. We will arrive back in Wellington on the 18th June. The trip has been in some ways longer than I could have imagined and in other ways has flown by. Our two weeks in Ibiza, was amazing. The warmth was a welcome change from Scotland and we made sure we explored the landscape there and went swimming in the crystal blue waters. I had a lot of trouble with asthma and sickness, and yet we still got a lot of writing done. It was so incredibly luxurious to be able to focus on writing, considering it a full-time job instead of having to cram it in around a normal workload. Enjoying writing in my journal while sipping sangria at a cafe in Ibiza old town. We were in Barcelona for only three days after that and though we didn’t get to see much of the city, we saw a lot of the Gothic Quarter where we were staying and had very splendid time enjoying the food and wine of that beautiful city. Sitting by the window of our apartment in Barcelona. Trélex has been magical. Staying with David and Nina Rodin and their family has been a privilege and a pleasure. Though our time he has been short, already we have achieved a lot. I have been painting and sketching more than I have in years, and I have gotten back into doing my audiovisual art which I’m very excited about. I’ve been continuing writing and Dave has too. He has made some great breakthroughs with his scripts and I’ve been able to help him with editing which I normally don’t have much time for. And of course we have been recording plenty of sound. A day of sound recording adventure in the forests of Switzerland. Switzerland is a wonderful place for recording soundscapes. There are lots of public parks and wide open spaces and lots of access to forests and mountains. 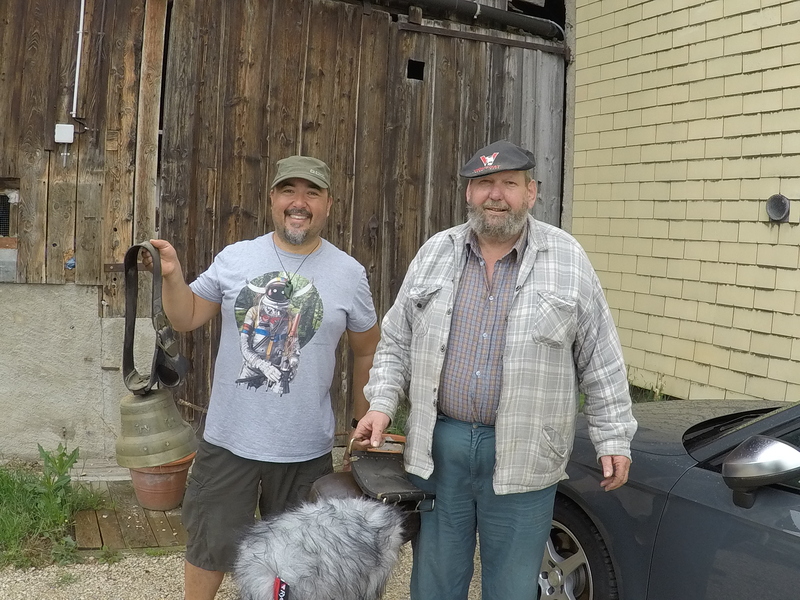 There is so much more here that we could record but I’m very glad that we have some great recordings of cowbells and church bells and tranquil environments. The bells, the bells! Our next door neighbour in Trelex and his lovely sounding bells. Now we only have four days left in Switzerland, and I’m very aware of how difficult it will be moving on from here with my injury. With out recording gear, we have way too much luggage, so I hope I can lose the crutches soon. We are supposed to catch a train to France on Monday, but I have to go to the hospital for them to assess my ankle in the morning and then who knows what will happen. Though I hope it heals quickly, I also know that it will stop us from doing big and ambitious hikes which is sad, but like I said, I am very grateful for the things I do have and will make use of this time that I am less mobile by doing more art. As this is a creative journey, you have two create what you can using the tools is that you have available. Though this is my first blog entry on my journey I’m hoping that I will be more productive from now on. Until next time, get out there and create magic everyday! 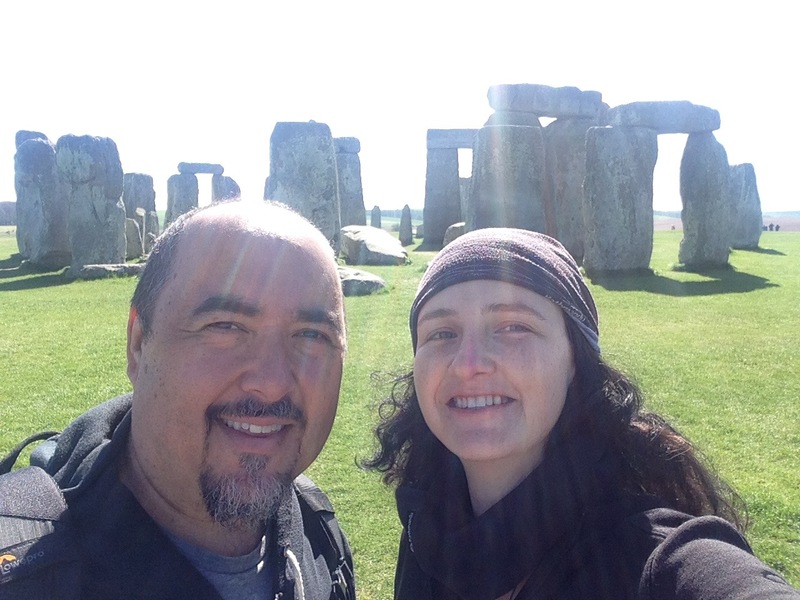 Dave and I at Stonehenge. Sometimes we wait too long to be inspired. Sometimes we expect the world to come to us when we should venture out into the world. I have been avoiding writing a blog entry for a few months, expecting that something exciting would happen worth talking about. Or perhaps I was waiting for some news about my writing. However, experiencing setbacks with my writing should not have prevented me from taking time to express myself. What I should have been doing is getting out and finding inspiration from the world around me. Life isn’t always glamorous, but sometimes real beauty can be found in the small things that you see everyday or little interactions you have with people around you. You only have to look at how many people post photos of their cat, or what they ate for lunch on social media to see that people think every day life is worth sharing. I have to remind myself that we create our own excitement, just as we create our own boredom. In my job as a sound designer, I am constantly having to switch on creativity as if it were flowing from a tap. Sometimes this is easy to do, if the project is exciting, or new, or if I am on a roll, but sometimes it’s hard and I have to find new ways to trigger that creative enthusiasm. Often this involves going out and doing field recording or buying a new plug-in for my studio. New tools and toys are a handy way to rekindle a childlike approach to work. You want to make your job more like playing and less like labour. For writing, new toys usually means stationary. I love stationary. The smell of a new paper journal and the feel of a fresh pen fill me with joy. Today however, my new toy is my dictation software. So far it seems to be working fairly well. However, I think I could have typed all of this by hand much faster, but I’m sure I’ll get better. Aside from gadgets and gizmos, the real reason I got back onto this blog today was because I started back at work after my Christmas break. I was inspired by seeing my fellow artists at work and feeling the good vibes of being back on the project with my team. Sometimes free time and leisure can be the biggest killer of inspiration for me and it’s not until I’m flat out at work that I find myself thinking about my own art. So, I’d love to hear from you. What motivates you all to pick up your instruments? Or to sit at that keyboard? Or open another blank page? How do you create your inspiration? Creative Freedom–Selling Sounds and Selling Words. There has been a lot happening here. I’ve been busy helping Dave get the first of our commercial sound libraries up for sale online. After working in the film industry on other people’s projects for so long, it’s great to finally start making stuff for ourselves. If you’re looking for some lovely nature sounds to write to, then I highly recommend them 🙂 You can check them out on Dave’s website. Meanwhile, my publishing plan is ticking along. I just read this article on readsy, interviewing David Fugate, agent of Andy Weir. (Author of ‘the Martian’). And that is what I love about it. The positivity it brings. I feel so liberated knowing that I don’t need to pine my hours away waiting for a rejection from yet another agent. I don’t have to wait months just to get a request for a partial and get my hopes up just to be rejected again. I don’t have to spend hours researching publishing houses and deciding if they’d be interested in my book. I can spend all that time instead on solidifying my own process, honing my marketing skills and lets not forget, WRITING! So between our sound libraries, my writing and my work in Sound Design, I am loving my creative freedom more than ever! It is time for an announcement. I’ve been sitting on this for a while. Last year I was offered a publishing deal with a small press in Australia to publish my debut middle-grade sci-fi novel. I was jumping for joy and thrilled to have reached such a level of professionalism with my writing that I had been accepted by a traditional publisher! I was also very keen to go down the small press route as I have always had a lot of respect for small business models. I felt that smaller presses often had more heart than bigger ones with their strict money-making priorities. I also thought signing to a smaller press would give me more control over the process of putting the book together. However, as time went on, I began to realise that I wanted more control than the small press would be willing to allow me. I have since come to the conclusion that for this particular project, self-publishing is the best route. I’m not saying I’d never consider the traditional path in the future, and I’m very grateful to have been offered a deal by a traditional press. But for me, right now, I want to go indie. My decision is not so much about control as it is about choices. Yes, self-publishing will give me complete creative control, but I will still contract professionals to make sure the book I produce is at the highest standard I can achieve. I want to collaborate with artists and designers and I want the freedom to choose who those people are. My decision is not all about money either, but it is about investment. Yes, I will own all the rights and royalties, but I’m not expecting to earn big money off my first book. I’m certain it will cost more than I get back. However, I am simply interested in investing in myself. Ultimately, my decision is about creativity. I love making things and if I go down the traditional path, essentially someone else is making my art for me. Although this scenario may work for other people, it’s not what I want for this book. I’ve worked the film industry as a freelance sound editor and spent years building my own brand and business, so I know how hard it is forging an independent career in the arts, but I also know it is achievable. I’ve learned the value of collaboration and networking, but I’ve also experienced what it means to be a cog in a machine producing someone else’s art. It’s time to make my own art. Working on films is a fantastic experience. As a creative contractor, my job is to help a directors vision come to life. Ideas that the director has been working on for months, years and sometimes decades finally come to fruition and I get to be a part of that. Sound editing and design is the end stage of this long ‘magical’ process. I try to create sounds that will do justice to the hard work everyone else has done, and hopefully enhance the audiences experience. The make-up and wardrobe teams, the art departments and VFX people, the actors and the picture editors, it all comes together with sound and music as the last piece of the puzzle — the icing on the cake. We soundies sometimes get a little neglected when the budget is sometimes spent long before we start working on a film, but we also get to see how excited the director is to see their baby finally born. The director is there, every step of the way through production, advising our creative work so that it fits the mould of their vision. So my book is my baby. I am the director. I want to have that experience of reviewing work from contractors, making notes and giving them feedback. It seems ridiculous to have worked so hard on writing the book and editing it for years only to hand it on to someone else at this final stage and let them make all the decisions about how it is put together. I have already begun work with a concept artist. More to come about this later, but it’s all very exciting. Now that I have made that critical decision, I can get to work making up a budget and a timeline and working towards a release date. My book is finally going to have a birthday. Come with me, as I embark on this journey as a creative adventurer! Tell me about your own experience. Are you the director of your own artistic vision? 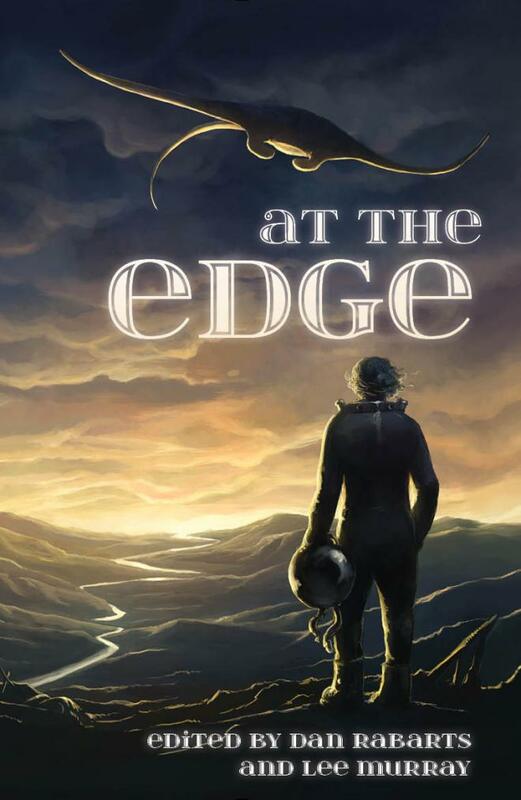 I’m very excited to announce that I have another short story accepted for publication in an upcoming anthology, At the Edge. The collection is being edited by the award-winning pair – Dan Rabarts and Lee Murray. My story, Narco, features alongside stories by some amazing authors from New Zealand and Australia. I feel very honoured to be included in this collection of works. The anthology is set for release mid 2016, so I have some time before I really start plugging the sale 🙂 The cover and TOC was released on Monday, so it’s official. Yet another publishing credit on my list. I am very chuffed and super proud of the work being produced by artists from our little corner of the globe. I’ve been too busy with work all week to post this sooner, but it’s been worth the wait. How about you? Do you have great exciting news to share this week? I’ve already made a start on book 2 twice now. Back in 2012, I made a 40K word start, but scratched it and went back to revise book 1. Then last year in November, I made a 20K word start, and again scratched it to re-work book 1. Am I daunted about starting all over again? Throwing all those words out is not a bad thing. Creating a book-universe is just like creating the real universe, it takes time. Hopefully, not as long. I don’t have 14 billion years to get my head around story structure and character arcs. The point is, it’s never a waste to just write words. It helps me get a feel for the characters and the world which I keep refining and refining. I’ve already got a lot of the basic structure for book 2 in my mind and mapped out in lots of journals. The thing that takes me the most time is researching and developing the planets and all the crazy creatures in them. As my concepts evolve, the next trick is to make sure the world-building never gets in the way of the story. I have to take all my wild inventions and weave them into the plot in a way that develops the characters and moves the story forward. If they don’t fit the criteria, I have to remove them from the book. Some times it’s hard to let go of scenes and aliens and pretty ideas, but at the end of the day, they’re never gone, they’re all in my head. And essentially, that is why I write to begin with. Everything I create is for my own selfish joy. I love inventing a universe in which I can play — a space within my mind that will always be real to me. Just looking through all the research being done on finding, categorising and conceptualising these worlds provides me with endless inspiration for my own designs. I will have to start talking more about my worlds on this blog and sharing some of the sketches I’ve made too perhaps. It’s been so long since I’ve posted I don’t quite know where to begin, other than to say it’s time to get the words flowing again. 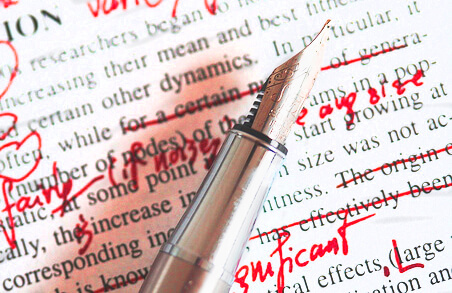 I’ve been writing and re-writing – editing and polishing – draft after draft. My energy has gone into my art, without a scrap to spare for my blog in talking about it. Sad, but there it is. Plus there is that pesky sound design job I do by day…ROBOT ROBOT ZAP ZAP! The most awesome thing I’ve been doing lately though, is critiquing work of colleagues. Not only is it making me a better editor, but it’s helping me to see what can be improved in my own work. Plus, as a happy side effect, it’s letting me help out friends by giving them a review of their work. So I’d like to offer some advice if you are thinking of writing a book or screenplay, or anything really…get yourself a crit group. They are an absolute necessity. There is no better and faster way to learn anything, than to surround yourself with other people who are on the same mission. So a big thanks to my fellow writers, for finding every single comma missed or word misspelled that my eyes would never have detected. But mostly thanks for helping me to hone my own style. Every day I get more confident with setting words down in print and that is more than I could ever ask for. First Publications, I’m Officially an Author! It is official, I’m an Author! I have in the last few months had 2 short stories published in 2 anthologies! The Twisty Christmas Tales is having a Book launch this Thursday at the Children’s Bookshop in Kilbirnie. This will be my first ever book-launch event and it makes me feel incredibly proud to have such a great group of Kiwi writers to share the occasion with. So if you’re in Wellington, come check out our book-launch and get to know some local Authors. 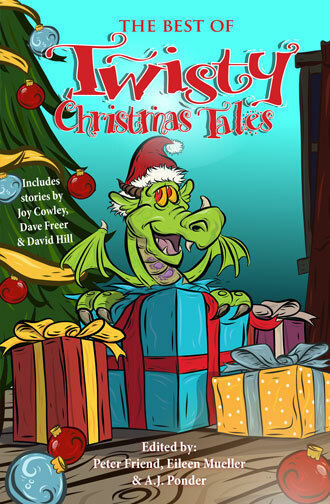 Perhaps you might want to pick up a copy of the Twisty Christmas Tales anthology to give as a Christmas gift to some lucky child? If you’re not in Wellington, it might be time to consider coming here, it’s a fantastic city. I just read yet another article about the future of publishing. It seems every where I look, every blogger, every writer’s site, every publisher’s page, there is article after article all about the same topic – what is the fall out of the self-publishing boom going to do to the industry? I say, less than we fear and more than we hope. We saw a similar scenario with the music industry when downloading music made the industry re-evaluate itself. Everyone was terrified that CD stores would shut down, that record labels would collapse and that the individual artists would suffer great financial losses. Yes, the music industry has changed a lot and downloading has affected and shaped how we listen to music and how we share music with others. I realised the other day that I used to listen to a lot more music. I thought about it for a while and came to the conclusion that this was because the technology I use for music listening has changed dramatically in the last few years. I don’t own a CD player any more and all my CD’s are in another country where I had to leave them because of their ridiculous travel weight. So, I have a library of music on my computer and various drives, but my iPhone and iPod are older models and its too difficult for me to bother trying to get music on them. I feel like I have to upgrade all my gadgets all the time just to be able to listen to something I bought on a CD four years ago. I have to upgrade everything…my phone, my laptop, iTunes, constantly in order to simply play my music. We are being encouraged to work more hours, spend less time engaging in society, purchase everything possible online and stay at home. We see it in the film industry too. Everyone is encouraged to update their home viewing system with giant televisions and 5.1 home surround stereos. Don’t go see it at the movies…download it, stream it, purchase the television series after it airs and then you can control when and how you watch things. Certainly not after you have done your extremely long hour day that prevented you from having the time to go out and see a film in the first place. The focus of consumerism is shifting away from community, away from the public sphere and into the individual space. Also everything is shifting away from the accumulation of physical possessions and towards transitory ownership. Renting, streaming or purchasing something that is floating somewhere in a cloud of digital ether rather than being a tangible – in your hand – object. I think that there will always be a certain percentage of the population that will reject this and want to own physical objects. Humans are collectors by nature. People want to feel the pages of a book, or to read through the dust-jacket of a vinyl record. Just as there will always be a percentage of the population that want to get everything for free, pay for nothing and cheat the system. Ultimately, most people want to do the right thing I think. Most people want to pay artists for their work in whatever format they offer it. The online emphasis of our consumer marketplace can be seen as a threat to the old ways of doing things in person. There is less importance placed on the act of seeing a real live band of musicians, buying a book from a shop or going to the theater. However people seem to be sharing their thoughts ideas and creative experiences more than we used to. Because of social media, people are in many ways a lot more involved with introducing their friends and family to things that interest them. Science, current affairs, politics, art and culture are shared across the internet more now than ever before. So, we artists now have an opportunity to communicate directly with our audience, bypassing the old chain of command. 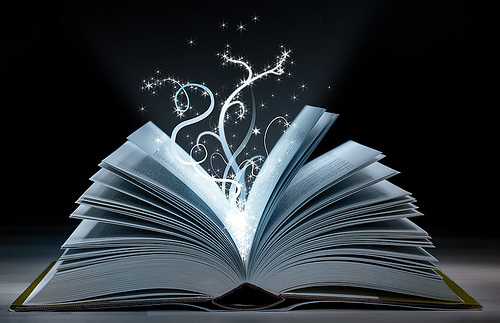 The old pathway to releasing a book was – Author>Agent>Editor>Publisher>Bookstore>Reader. This is being replaced increasingly by a new model – Author>Internet>Reader. The new model won’t immediately replace the old, nor should it, but it will certainly mean a period of adjustment for publishers, writers and readers. We are seeing a shift away from the publishing houses having all the control over what gets published. The writers are taking the reins of their creations. Also, while self publishing will increase in popularity, so will work for freelance editors/ marketers/ proofreaders etc. The publishing houses are already using the sales through Amazon and Kobo to look for their next publishing deal. The successful self-published author appears to the publishers as a marketable bet to make a deal with. For people such as myself, living in far flung places such as New Zealand or Australia, it is even harder to enter the traditional publishing system since we are so far from that is seen as the cultural hub of the USA and Europe. Getting overseas to attend festivals, conventions and seminars is out of the question for most of us. It is extremely difficult for us to go and meet agents/ editors and publishers in person also and with the development of the online industry in recent years, it simply unrealistic to pretend that our small local market would be sufficient to sustain a writer’s career. We have to look globally and I think that the rise of independent publishing as an equal and respected avenue for authors to take will enable this. The previously unnoticed corners of our beautiful and diverse planet will start to have a voice in a global network of independent authors, where every writer now has a chance to let their work be seen.